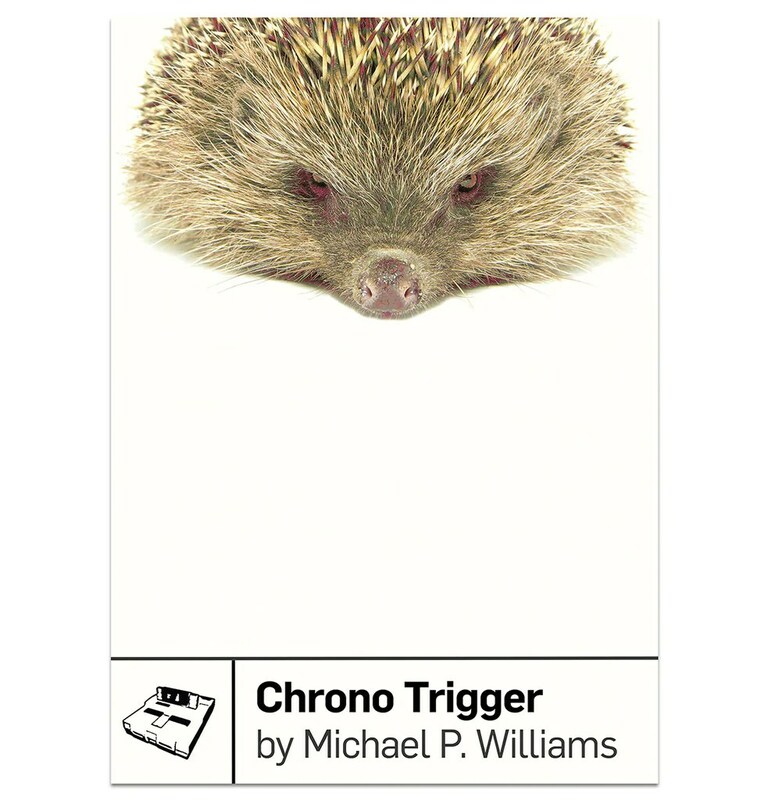 Michael P. Williams’ Chrono Trigger (a review of the book, not the game). CHRONO TRIGGER. CHRONO TRIGGER. CHRONO TRIGGER. Really, I could just freak out and type CHRONO TRIGGER over and over and over again, in all caps, and there would be a significant number of readers who would accept that as a perfectly legit review. But lucky for the rest of you, I’m going to elaborate further! So, some background. I first heard about Boss Fight Books about a year or so ago, back when they were doing a Kickstarter to get off the ground. Boss Fight Boooks specializes in video game literature- each book in the series explores the themes, nuances, and effects of a particular video game. At the time, I thought the concept was pretty neat, but they didn’t really hook my attention. As part of their Kickstarter, Boss Fight Books held a vote on a video game to cover, and in a stunning display of Democracy in Action, the voters chose Chrono Trigger. And that got my attention. See, Chrono Trigger and I have a history. I first cut my teeth on SNES RPG’s with Final Fantasy 3 (or Final Fantasy 6, as the proper numbering goes), so I was pretty much ready to go when Chrono Trigger came out. Having received the game for my birthday or Christmas or something, 12 year old me spent hour after hour in the basement, working hard to save the world. Then, a decade or so later, I randomly plugged in the cartridge, only to find all my save files had been erased due to inactivity…so I played the whole game again. It’s that good, people. 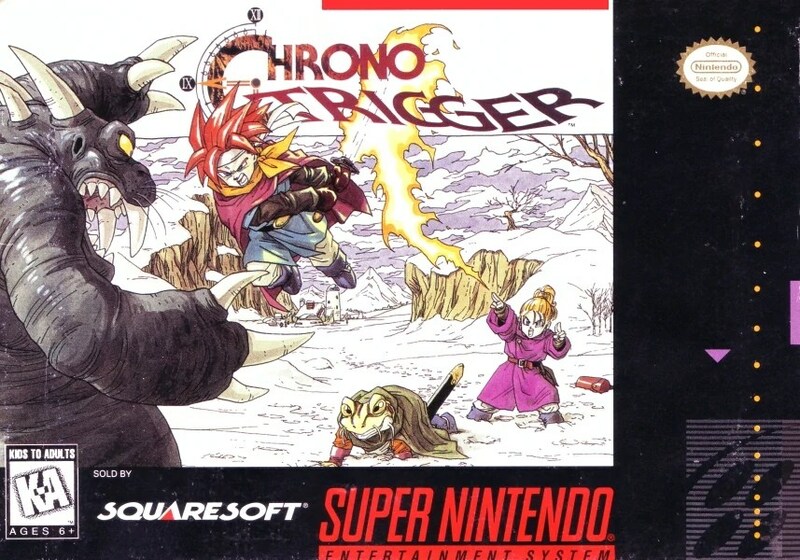 For those unfamiliar with the game, Chrono Trigger one of the classic RPG’s of the 16 bit era, and one of the (many) reasons why the Super Nintendo is one of the greatest video game consoles ever created. With character designs by Akira Toryiama (the guy behind Dragonball Z), and music by Nobuo Uematsu, there’s all kinds of talent behind this game. The game itself is a typical ‘save the world!’ RPG, wherein a ragtag bunch of well-armed adventurers set out to save the world. Thing is, the heroes can also travel through time, which leads to about as convoluted as a plot as one would expect. If I were somehow put in charge of Dr. Who for a season or two, Chrono Trigger would be one of the first things I’d crib notes from. John Barrowman can be Frog. So yeah, if you haven’t played Chrono Trigger, you should go fix that. Now. I’ll wait. Which brings us to Michael P. Williams’ Chrono Trigger. The tone of the book can best be described as ‘conversationally academic.’ On the academic side, the book has occasional footnotes, complete with a bibliography at the back (which can teach you how to properly cite a player’s guide, if nothing else). However, it’s not entirely dry- Williams works in personal anecdotes here and there, drawing on his own experiences while living in Japan to give a new perspective on the video game. Williams casts a wide, but shallow net. Each chapter of Chrono Trigger (the book, mind you) focuses on one theme or another: gender, sexuality, time travel paradoxes, the Campbellian hero’s journey, and so on. Seeing as of how the primary material is a video game that’s over twenty years old, I can understand that there’s only so deep one can go in exploring the game. This said, the best chapter centers around the translation of the game. It even comes with interviews with Ted Woolsey and Tom Slattery, the men behind translating the SNES and Nintendo DS versions of the game respectively. It’s a fascinating look into the challenges they had in porting it over to the US- Woolsey only had around 30 days to transcribe a whole game’s worth of text into English- a task daunting enough on its own even before he had to worry about censorship or character limits or whatever. Chrono Trigger, as good as it is, is only a single player game. It’s not the kind of game you invited your friends over to play. As a result, playing the game was always a private experience. Chrono Trigger is fascinating, in that it’s an entire book coming from someone who played the same game, who had the same experience I did. On top of this, Chrono Trigger is one of the few bestsellers of the 16 bit era that hasn’t been rebooted or sequelized in one way or another. Sure, there was Chrono Cross, but nobody liked that one (Williams gets some fun snarky digs in at Chrono Cross over the course of the book anyway). In comparison, we’re up to Final Fantasy…14 by now? And that’s not counting various spin-off games and so on. I guess it’s something you can be glad of- Chrono Trigger is one of those works that wasn’t popular enough to get screwed over by sequels, or something. Overall, I found Chrono Trigger to be a fascinating read- but again, I may be a bit biased. Really, I’d use the following rule of thumb: if you know why there’s a picture of a hedgehog on the cover, read this book. And if you don’t? Go play Chrono Trigger, and then read the damn book. *sputter! * I loved Chrono Cross! Chrono Trigger is my favorite game of all time. An HD update would be a beautiful thing.